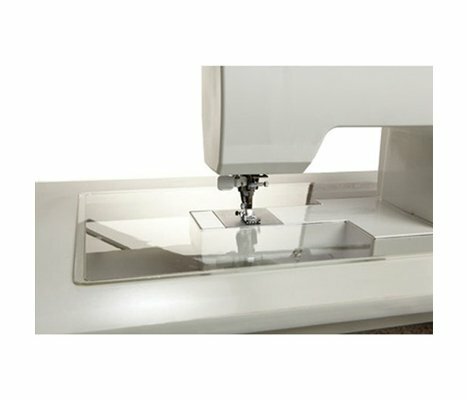 You choose the model(s) you want, the color you desire, and the accessories that fit your sewing and quilting style. 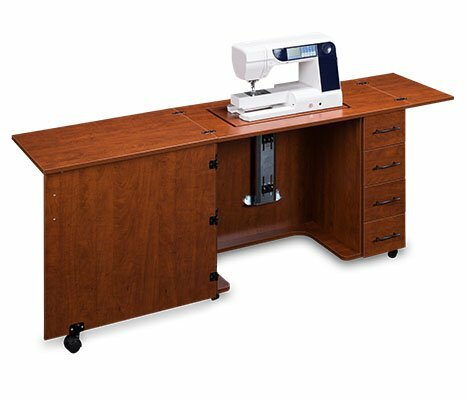 Sylvia sewing cabinets are designed with your future in mind. 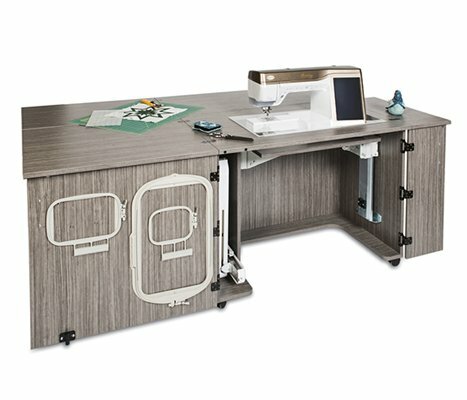 It is easy to add and connect additional cabinets, drawer chests and other accessories when future needs warrant. 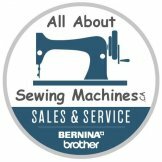 If you have unique needs and prefer a different size, height, etc. just give us a call and we’ll get it done. 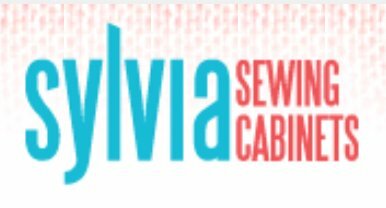 Quality materials, quality workmanship and customer satisfaction are the hallmarks of every piece of Sylvia Sewing Furniture. Top quality hardware from solid bronze hinges to modern drawer pulls. Sylvia cabinets come fully assembled (except for the casters). 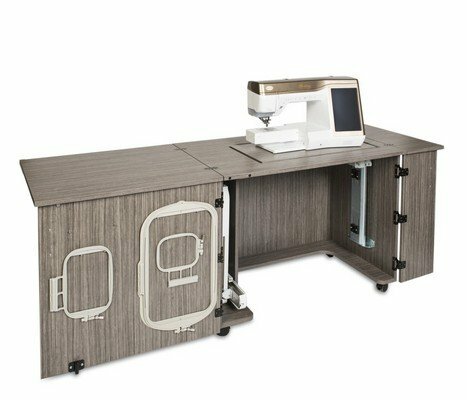 All Sylvia cabinets are designed with center-of-the-needle sitting position which increases visibility and decreases back strain. 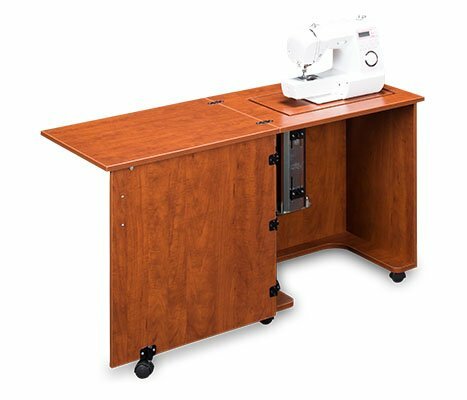 Locking commercial grade casters make your cabinet easy to move, or remain securely in place. Heavy duty metal drawer glides are smooth and will last a lifetime. Sylvia White Inset 27" x 14 3/4"